Kleenheat is your local leader in LPG proudly supplying thousands of households across Western Australia and Northern Territory with safe and reliable LPG for cooking, heating and hot water. We believe in keeping things local and that’s why our team in Geraldton are on the ground to help you with all your gas needs. **5% discount for 45kg Vapour Cylinders. To redeem this offer, Rigters Rewards Card must be shown in store at Kleenheat Geraldton. 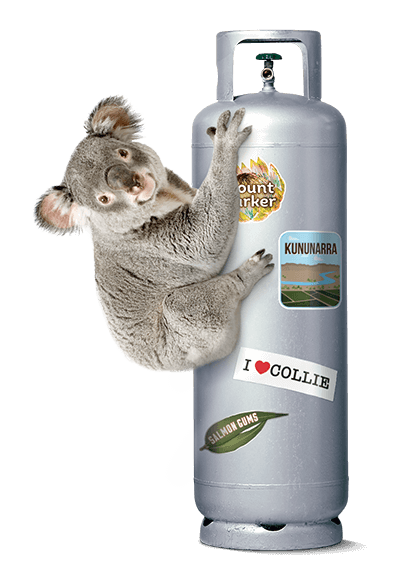 ***10% discount applies when you order and pay for your LPG cylinders online via kleenheat.com.au/lpg/order-online. This offer is only available to Kleenheat customers who purchase their cylinders direct from Kleenheat. Sales through Kleenheat dealers are excluded. Visit kleenheat.com.au/order for full terms and conditions.